Resin or Filament 3D Printing: How to Pick the Best for You? 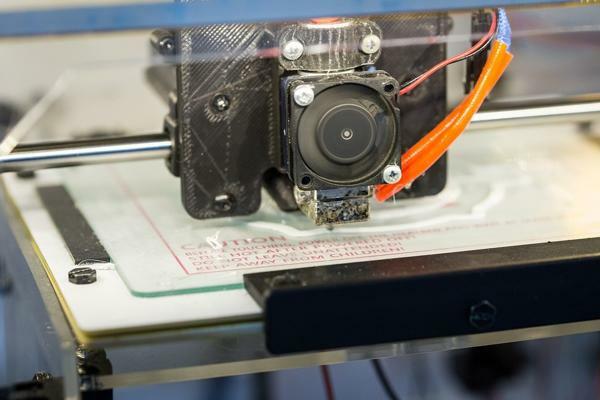 3D printers use different technologies for printing the designs, and that’s why the printing material too are different. Mainly two different materials are used on a broader spectrum- the resins and the filaments- both of which have their own cons and pros. Now as the printers are evolving, the choice between these materials is also becoming more complex, to an extent where most of the people get confused over the printer type. But, for making the choice, one need to know perfectly how both differ from each other, not only in cost but also in many other aspects like color, meaning, post processing, and so on. So, here is a detailed difference between both the technology, that will help you to choose what’s best for you and what will give you the best quality print. FILAMENT VS RESIN: WHAT ARE THEY? Filament, mainly thermoplastics and other organic polymers are used in the FDM process. FDM is also known Fused Deposition Modelling, where the thermoplastic tube is passed through the extruder. The extruder is electrically heated to a temperature, thus melting the filament. This melt is then deposited on the print area, and layer by layer, the entire object is printed. FDM moves from bottom to the top. Compared to FDM, the other technology in 3D printing is the SLA or Stereo lithography. Here, instead of plastic filaments, resin bath is used and then the layers are hardened using either laser light or a digital light projector. Here, the design is etched from top to the bottom as the build plate slowly raises the printed material above the resin bath. When it comes to choosing the best material based on color, then obviously filaments will be a better choice. As the filaments are made from different polymers like PLA, ABS, Nylon, and even P VA, they are available in multiple colors, like PLA comes in blue, orange, pink, and even yellow. However, on the other hand, resin comes in a limited color palette. Hence you won’t have enough options to make your print colorful. Coming to the material type, FDM printers don’t depend upon specific filament tubes. One filament can be used in multiple printers from different manufacturing companies. But the same cannot be said about the resin because they are not only printer specific but also company specific. When you will be choosing the printers based on the smoothness and accuracy of the prints, then the SLA based printers will be the primal choice. In SLA printers, the resolution of the print depends upon the optical spot size of the light source which is kept quite small. This is why the resolution of the prints is very high and accurate too. However, in case of the FDM printers, the resolution is dependent on the nozzle size and the movements of the extruder on the X/Y plate. As a result, the resolution obtained in the 3D printed materials from FDM printers aren’t of high quality. Another reason not to choose FDM printers is that it’s really hard to get a shape with sharp cutting edges and complete accuracy. This is because the force of adhesion between two layers of the molten filament is very low, and as a result they are not held together at a place. Also, more pressure on the lower layers causes depression and distortion in the shape. As the adhesion force between the plastic layers is very less, so, they finally printed 3D object can be removed easily from the print bed. You just need to use a palette knife for the removal process. This ensures that no filament trace is left behind on the print bed. However, in the SLA technology, the resins are quite hard to remove from the print bed. When you take the object out of the bed, it leaves behind a considerable amount of resin. While using a palette knife in it’s removal, you need to apply greater force and also, this process consumers time. In both the printers, the post-processing process is done manually. This is because the automated process has yet not been programmed. In the FDM printers, the excess plastic sticking to the printed material or the print bed can be either removed by scraping with a knife or with your fingers. Thus, this process is quite easy and safe for the children. However, in case of the SLA technology, you need to dip the material in isopropyl alcohol, This removes the excess sticky resins from the surface, leaving you only with the printed material. Obviously without a doubt, using resin will cost you more. Along with buying resin from time to time, you also need to replace the resin tank after you have printed using 2 to 3 liters. Now, the tanks cost around $40 to $80 while one liter of the commonly used filament will cost you around $80 to $150. Contrary to this, in FDM printers, all you have to buy are the filaments and nozzles. And moreover, over the years, the cost of filaments has decreased. So, yes, printing with resin filaments is definitely costlier. Thus, both the printing material has their own cons and pros which you need to be aware of. First understand what your needs are and then buy the suitable printer.